Musicians at Faxon-Kenmar, directed by David Koskey. Click to see larger photos with descriptions. 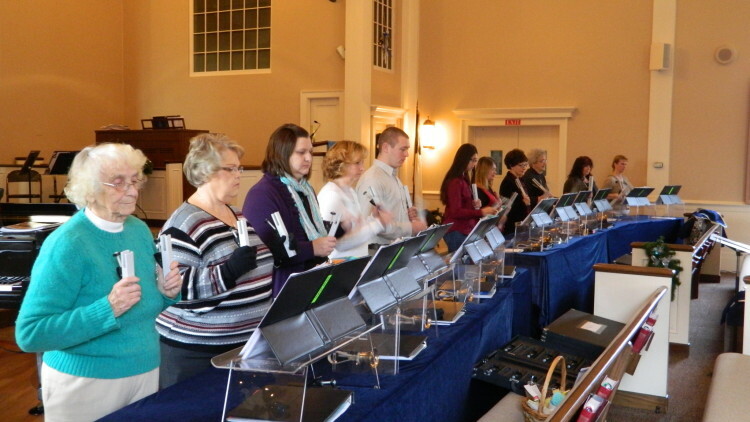 Adult 3 octave handbell choir. 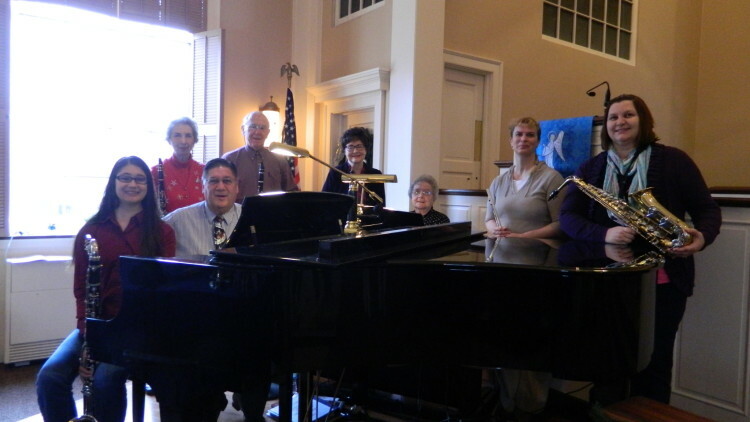 Inspirational Singers (an adult Singing Choir) practices Thursday evenings at 7:00 PM and sings on the 1st and 3rd Sundays of the month. 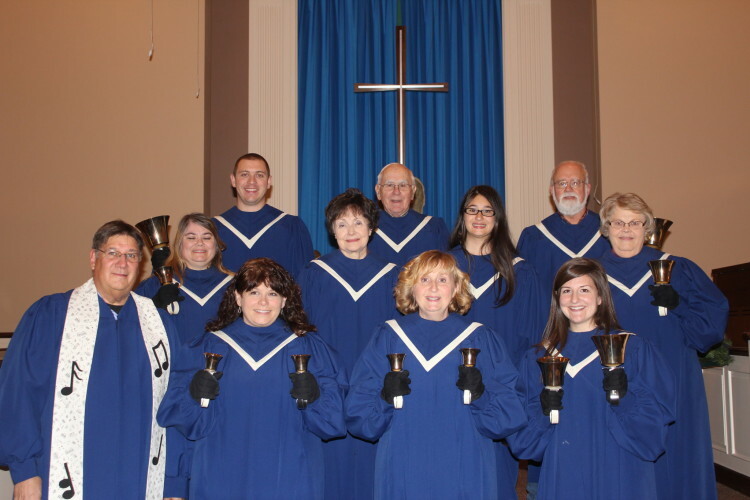 Joyful Ringers (an adult Handbell Choir) practices Thursday evenings at 6:00 PM and performs on the 2nd Sunday of the month. Sonshine Chimers (an intergenerational Chime Choir) practices every other Sunday after the later worship service and plays on the 5th Sunday of a 6 week rotating cycle. The Master’s Musicians (an instrumental group) practice at 9:00 AM the 4th Sunday of the month and then shares their talents in the worship service that follows at 10:15 AM that same Sunday. The church sponsors a Community Sacred Music Concert Series. 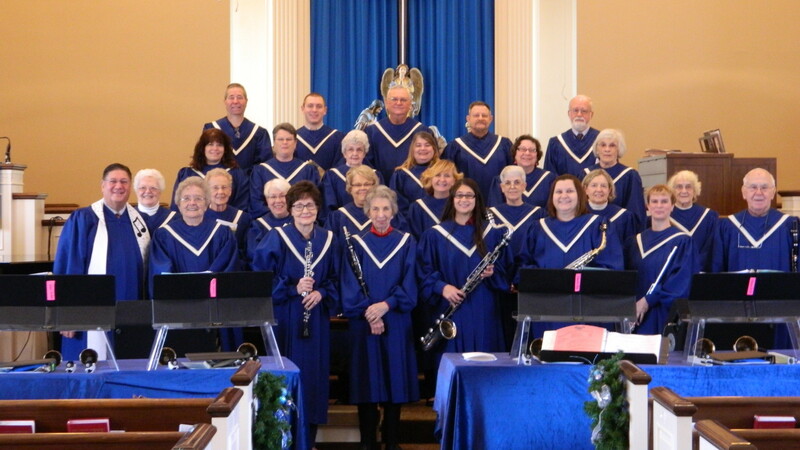 Guest artists, ensembles, and choirs perform at 2:00 PM on Sunday afternoons. 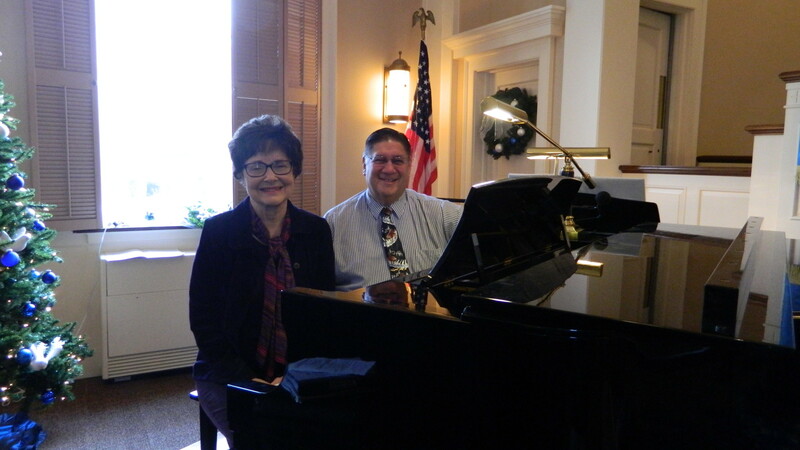 2015-2016 is the second year of the Concert Series. All concerts are open to the public with free admission. 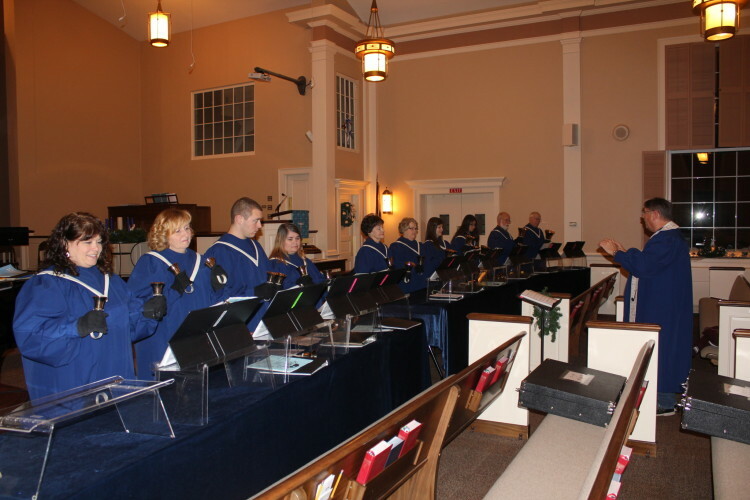 The Concert Series ends with the Faxon Festival Choir directed by David Koskey. 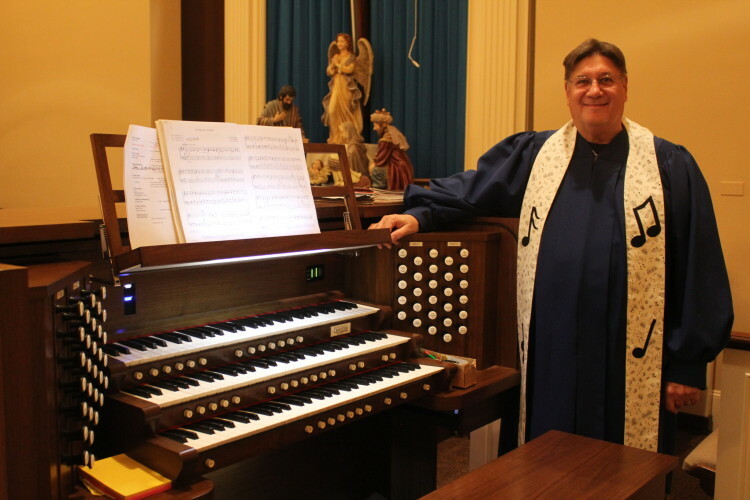 In May of 2015, 56 singers from 14 congregations joined together for the first event which has now become an annual tradition. Faxon Kenmar UMC hosts a Summer Music Camp for children and youth age 5 to Grade 6 the last week of June. The camp meets 8:30 AM to Noon Monday through Friday with an evening concert planned for Friday evening. Musical activities include singing, handbells, chimes, musical bells, recorders, boomwhackers, rhythm band, musical games, liturgical dance along with daily snacks and Bible study. Campers begin the day meeting together for devotions and combined singing and close each day with a prayer circle. Special T-shirts are designed for each year’s camp. A camp picnic is enjoyed Thursday at noon prior to a sneak preview performance at 1 PM. With a very dedicated musical staff and many volunteer helpers, campers are given an enriching musical experience which is evident from the fabulous performances they perform on Friday evening at the end of Summer Music Camp. A post concert outdoor reception concludes the week of activities. Look for registration forms to be available in the spring. 1301 Clayton Ave. Williamsport, PA 17701 570-323-7272 Email Us Office Hours — Monday through Thursday 9am to noon and 1pm to 2pm. Closed on Friday. 1999 - 2019 Faxon-Kenmar United Methodist Church All rights reserved.